What is this spinning rock in Tomorrowland? You have walked by it, you have observed people running their hands over it, you have thought – “What the heck is that?” It’s the Kugel Ball! Sure, now it all makes sense, right? Well then what is a Kugel Ball? A Kugel Ball is simply a sculpture of a granite ball supported by a thin layer of water. The granite ball must be supported by a base that is the exact same curvature as the ball to provide the exact area of water to allow the ball to move. 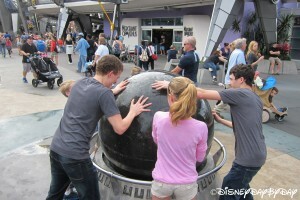 The Disney kugel ball weighs in at around 6 tons. 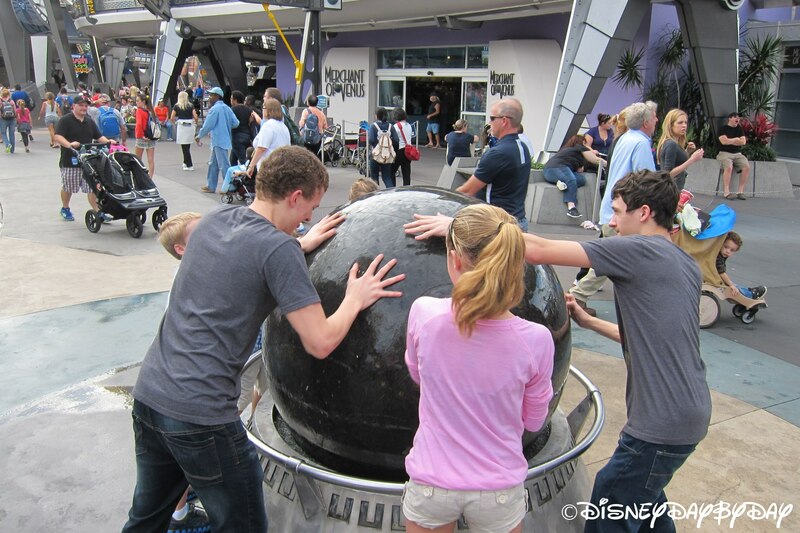 Who doesn’t want to go home from vacation and say that they stopped a 6 ton granite ball? So, next time, don’t just pass by, join in the fun and stop the ball and change its direction it just may change yours.